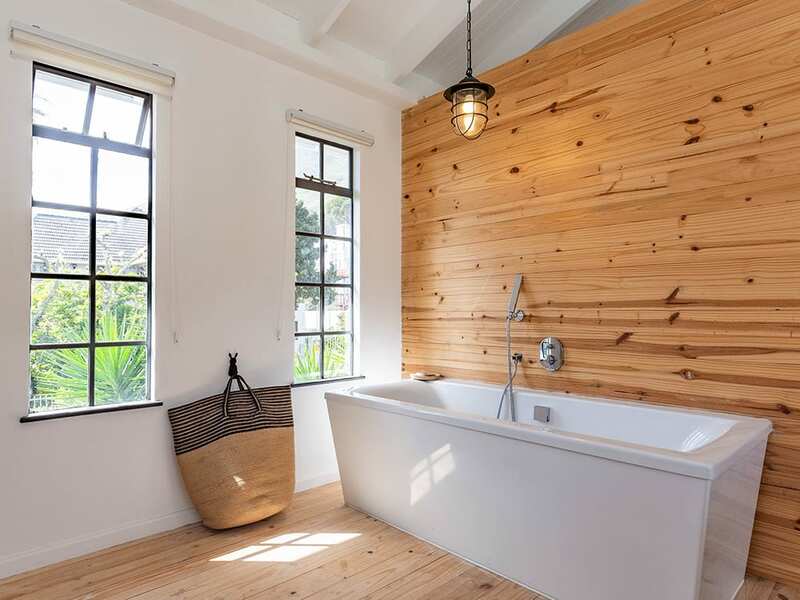 When it comes to bathroom design, at Metal Windows we’ve got inspiration in droves. From petite powder rooms to palatial master bathrooms, we can do it all. Browse through some of our favorite jobs and give us a call to help complete your dream bathroom. 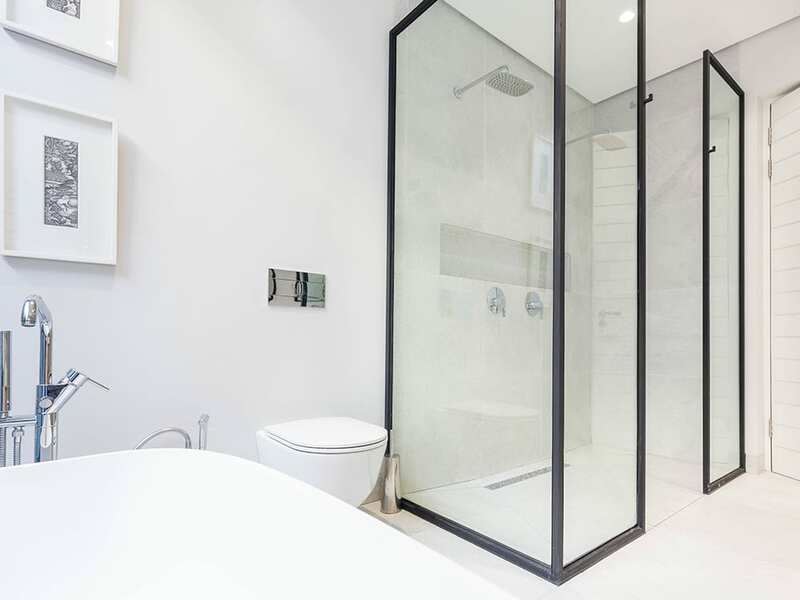 With our FORMAN Brand systems, we are always thinking out of the box examples include Steel, slim line French pane shower doors; Sliding horizontal pane Aluminium shower doors and Frameless glass shower enclosures. 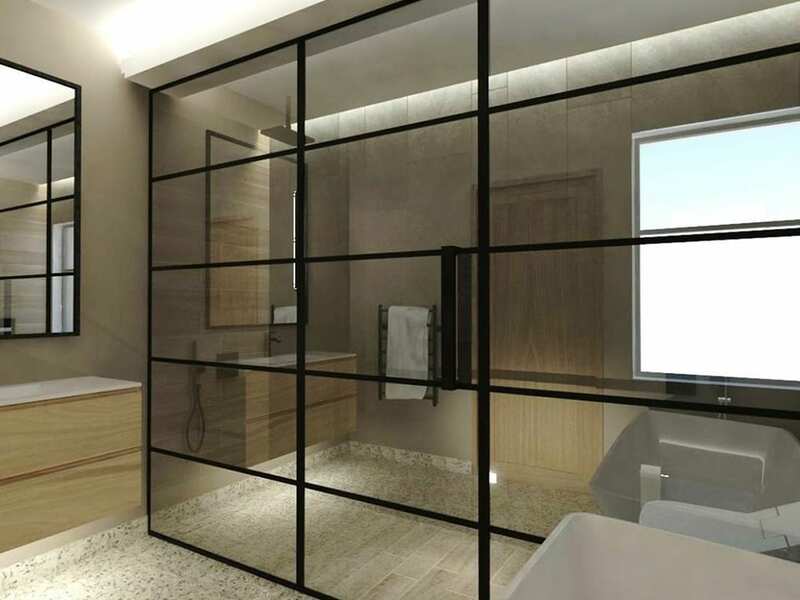 In a narrow bathroom use wide, landscape oriented mirrors and to make a low ceilinged bathroom feel more spacious use taller portrait oriented mirrors. We do custom shaped and framed mirrors, including steel, aluminium & beveled mirrors. Matching Dark window frames and shower enclosures give great contrast to an all-over white or neutral bathroom design. Take rustic life to a new level of sophistication with custom steel windows, doors and shower enclosures, combine with wood accents. Or add an interior architrave wood frame surround to your aluminium windows. We even offer custom designed steel frame cabinets with mirror inserts or glass inserts, using our patented FORMAN Brand steel systems. Contact us on 021 448 4333 to make an appointment with one of our experienced sales representatives.